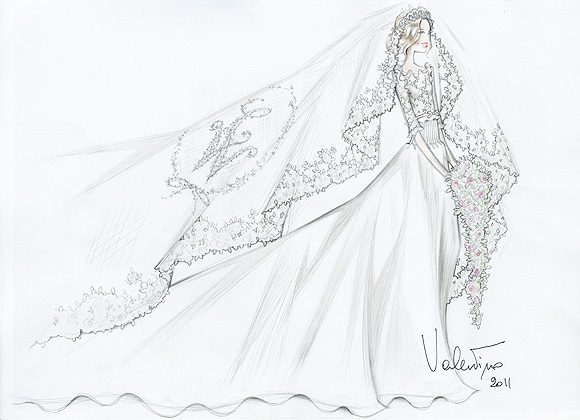 When it comes down to sketches, now retired Valentino took a special effort to make sure they are clean, descriptive and beautiful. He is classically trained at the famous Paris Art School and spent many years working under numerous designers before taking leading roles at Guy Laroche and starting his own label. His sketches are probably closest to framable art among other designers because he often uses color and makes them look like real paintings as oppose to just sketches. 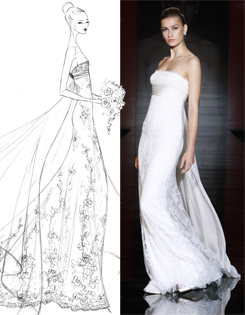 Also, Valentino’s sketches are very realistic, full of details and clearly defined silhouettes which makes them easy to read on clothing models. The wedding dresses are his specialty! 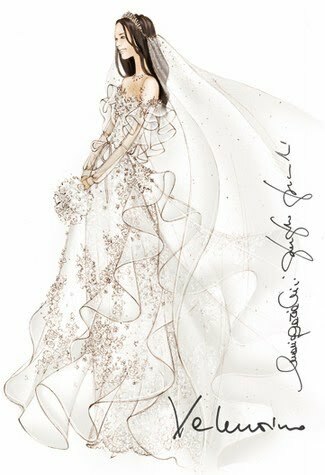 He even draws a face of a beautiful and happy bride to add joyful mood to the drawing. Enjoy the collection! I know what women want. They want to be beautiful. Valentino Garavani is an avid collector. Perhaps that is the reason why his fashion creations are often eclectic. His models can be recognized by a few distinctive features: the perfect silhouette, thin fabrics, embroidery and, of course, frequently used the color of red. Valentino Clemente Ludovico Garavani was born on May 11, 1932 in Voghera (a town in northern suburb of Milan, Italy). Not much said about his childhood, other than about his parents who were loving and supporting of his art interests. They supported him going to School of Fine Arts and in The House of Haute Couture in Paris, the most prestigious specialized training institutions at that time. 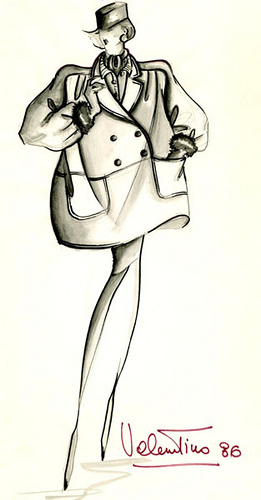 After graduating he earned apprenticeship at known designer Guy Laroche. Upon returning to Rome, Valentino opened his first atelier on the loan obtained from his father. If not for the accidental meeting with Giancarlo Giammetti, we might never have known grand Valentino he is today. At that time, only after a year in independent business Valentino’s shop was on the verge of bankruptcy. Giancarlo dropped from architecture school to join Valentino as a manager. Valentino has never had an unprofitable year since. And in only 5 years Valentino welcomed his most notable customer, Jacqueline Kennedy. To save the company from financial fiasco Giancarlo moved the shop to less prestige location in Rome and put more concentration on marketing. Success picked up with press recognising Valentino’s talent and despite his already fairly mature age pronounced him “the golden boy of Italian fashion.” Valentino earned an international reputation after the show in Florence. A historic “White Collection” was presented in Florence earning the designer a prestigious Neiman Marcus prize. The collection was named this way because of the use of pastel colors and light fabrics. Also, notably in this collection Valentino’s now trademark “V” symbol was used for the first time. 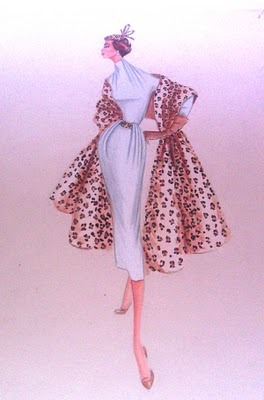 In 1969, Valentino opened its first boutique, which sold “Prêt-a-Porte” models in Milan and then in Rome. Throughout the years Valentino earned a reputation of a flamboyant party-man, spending tens of thousands of dollars, and sometimes even millions on entertaining guests. He leads a very lavish lifestyle and owns dozens of château across Europe, yachts in many ports and artwork by Picasso and famous modern artists. 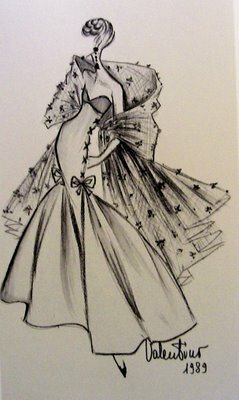 He contributes the choice of this living standard to desire to experience lifestyle of his customers to help them look and feel beautiful through his clothing creations. This image was portrayed in detail in recent documentary “Valentino. The Last Emperor”. In the film one can see the most expensive collection celebration to date held in historical Coliseum. 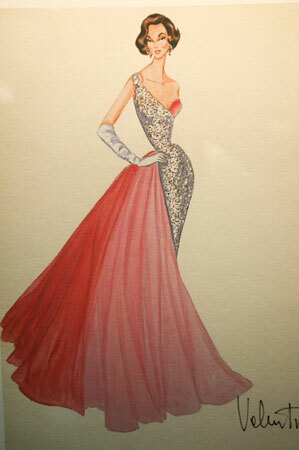 Valentino often decorated his collection premieres and product unveilings by inviting famous artists and singers. Even in early years, in 1978 Mikhail Baryshnikov was invited to dance on Valentino’s fist perfume presentation in Paris. Over the years, Valentino constantly expanded the boundaries of his designer talent and business drive. 1983 saw the launch of youth line “Oliver”. Gradually, the logo of the Fashion House “Valentino” appeared on the collector’s wallpaper, tiles, furniture and accessories such as purses, jewellery, Valentino glasses and sunglasses. In 1989 the designer opened cultural center “Academia Valentino”. Valentino’s admiration of history and arts made him an avid antique collector. Many times elements of other cultures were used in his models. For example, his extensive collection contains a large number of Russian antiques. Inspired by the Russian cultural values the designer has created, for example, a dress with hologram of Moscow’s St. Basil’s Cathedral. In 1998, despite the relatively rapid and successful development of its business, Valentino Garavani sold its Italian holding company to Partecipazioni Industriali, while remaining as Creative Director. 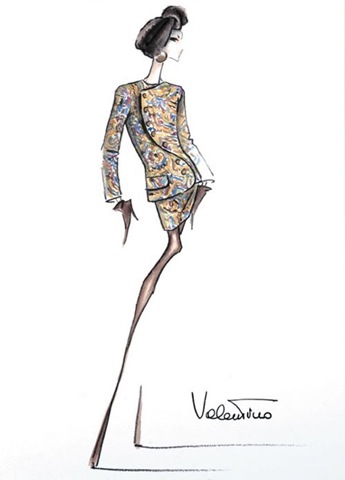 After four years the fashion house has been resold to the Marzotto corporation. In early 2007 the fashion house has once again changed hands, this time taken over by the British company Permira. In 2008 after marking a 45 anniversary of his fashion house in Rome and presenting the “Haute couture” Autumn / Winter 2008-2009 collection, Valentino resigned from his position as a Creative Director. Valentino throughout his career has created a unique style that was embraced by countless famous women: Jacqueline Kennedy Onassis , Elizabeth Taylor, Grace Kelly, Sophia Loren, Audrey Hepburn, Madonna and many others. His style is largely built on his own rich persona with his own ideas and interests kept largely unquestioned and not criticized, skilfully shielded by Giancarlo. In the Last Emperor he is quoted saying “After me is flood” referring to a saying of Louis XIV that means concentration on self importance. This perhaps is the secret of a true Valentino style.